This is the story about a family and the worst nightmare ever for a traveler: be forced to stay in the airport for more than a couple of hours. If you normally complain for being in the airport more than a few hours, just the time needed to take your flight passing through all the security procedures you will never expect to hear about the story of this family composed of four children and four adults. We want to tell you more in this article. When I read this story for the first time I immediately thought about Tom Hanks and the famous film by Steven Spielberg called The Terminal. Have you ever watched it? I definitely love it. 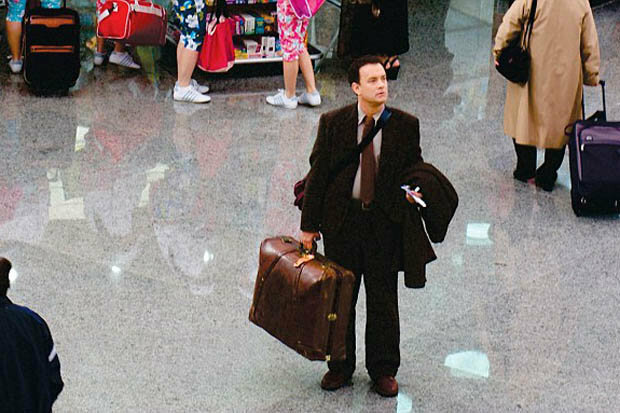 It is about a man that comes from an imaginary country and arrives at the JFK airport. He doesn’t speak English at all and because of a military coup in his country he can’t leave the airport. He gets used to the life in a Terminal, starting to learn English and meeting people who work there. Tom Hanks stayed in the aiport for several months and the same happened to a Zimbabwe family that left the Bangkok airport after three months spent there. Can you imagine the feeling of living in an aiport? It is the so called “no place” because it’s like a neutral place where you spend just a couple of hours of your life before taking the plane. There is no one that effectively lives in the airport and knowing that you can’t go out must be really hard. But let’s have a look at the details of this family that was forced to live in the airport for three months. The background of this kind of stories is always about having the right documents to leave a country and enter in another one. 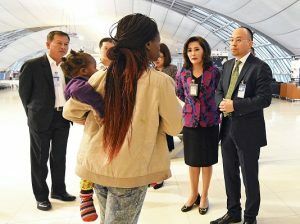 This Zimbabwe family arrived in Bangkok in May with four children under the age of 11 and four adults. In October the family tried to leave for Spain but they didn’t have the right visas. The tourist visas that they had obtained to stay in Thailandia were expired and so they couldn’t come back from the airport to the city center. The problem was that they were not allowed to come back home because in Zimbabwe they faced persecution. So, what they could do? One employee of th aiport in Bangkok posted a pic with one of the children in December saying that this family was living there because of the unsettled situation in their country. Officials said that they tried to help the family making arranfements with different airline companies to let them fly via Kiev to Dubai and then to their final destination bypassing European immigrations. 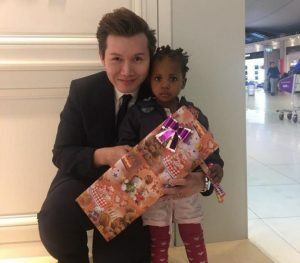 The family asked for assistance from the UN because they were afraid of the persecution in Zimbabwe especially after the November unrest that removed the long-term leader Robert Mugabe. The UN was investigating and Thailand is not a country that provide legal status to refugees and asylum seekers. So, the family had just one option: living in the aiport of Bangkok. 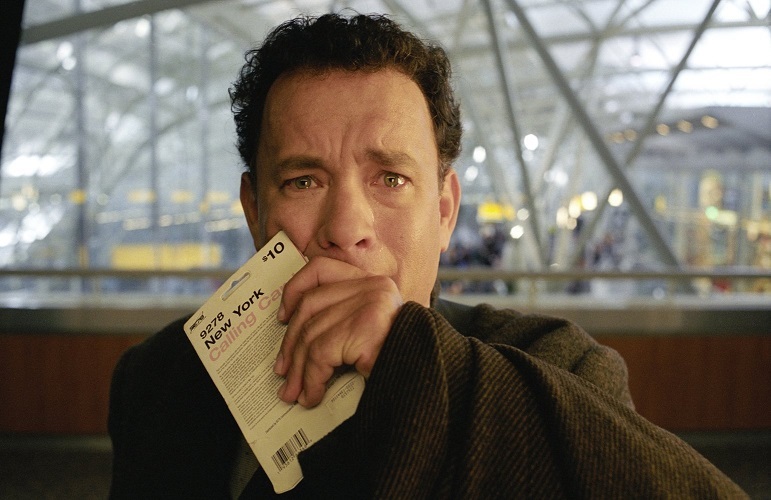 They lived in the departure terminal, like Tom Hanks in the film. But, in this case it was the real life. They lived in the airport for three months being looked after by airport employees. Their life must have been really difficult, especially knowing that they couldn’t back home due to the political situation. The last news we heard about this family was that at the end of January they left the airport of Bangkok. They reached the Philippines. There there is a UNHCR refugee camp. We still don’t know what is their final destination but at least they don’t live in the airport anymore. Have you ever lived or experienced a story similar to this one? We are happy to hear about your stories. if you have problems with your flight you can contact Flycare.